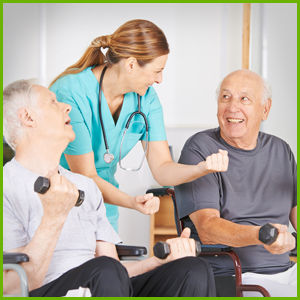 We are an established home care agency with over 35 years of continuous state & county funded home care programs. At Maximum Care Group, we aim to promote education & training for our patients & their family members. The goal is to increase the independence of our clients, as long as possible, with the help of our experienced caregivers, serving Allentown, Bethlehem, Easton & surrounding Lehigh Valley, PA.
Our licensed health care professional will discuss all possible options with you & your family, to ensure all parties involved fully understand any processes & care provided. You should play an active role in your own health care. If you or your loved one are living with a disability, we can provide specific training to help you live with this condition, as comfortably as you can. You can trust one of the oldest health care agencies in the area. Click Medicaid image for a definition of Medicaid from Wikipedia, the online encyclopedia.